Today I’m heading to Native in picturesque Neal’s Yard in my favourite part of London – yes it’s time for lunch in Covent Garden. 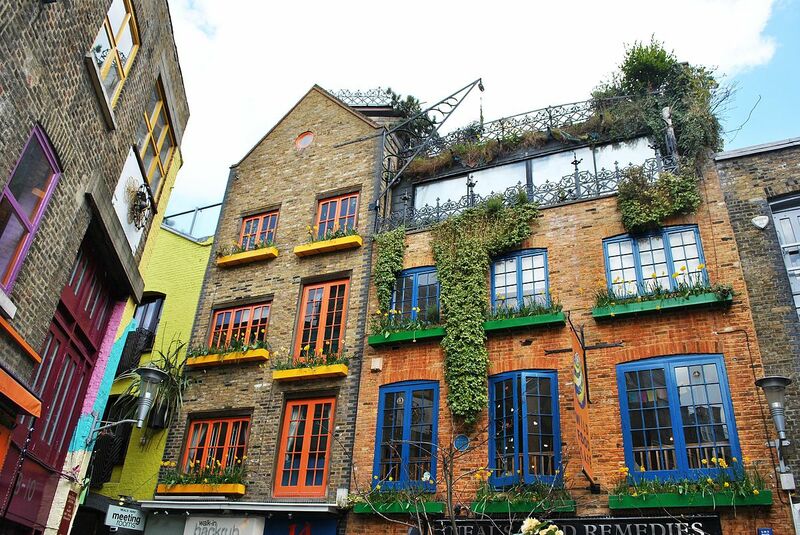 Neal’s Yard owes its name to Thomas Neale who created the Seven Dials area of Covent Garden where it’s located. It wasn’t always the beautiful oasis it is today – in fact it had been a dark, rat infested, derelict yard behind the Covent Garden fruit and veg market. It didn’t even appear in the London A-Z until the mid-70s! This was after Nicholas Saunders started the Whole Food Warehouse there and the Yard became transformed into the secret Covent Garden space it is today. In the courtyard you’ll find a collection of bars, restaurants and cafes set in a cute and colourful surrounds. Native is tucked away in the corner, a mini, stylish establishment with an open kitchen and small bar upstairs. We went down to the little dining area with its whitewashed walls and rustic tables. It’s a calm and relaxing sort of space. Native’s dishes are all made from ingredients that are native (well, obviously!) to the UK. They focus on game, foraged and wild food which leads to a menu of delicious and somewhat exciting choices. There’s a choice of three dishes for each course. 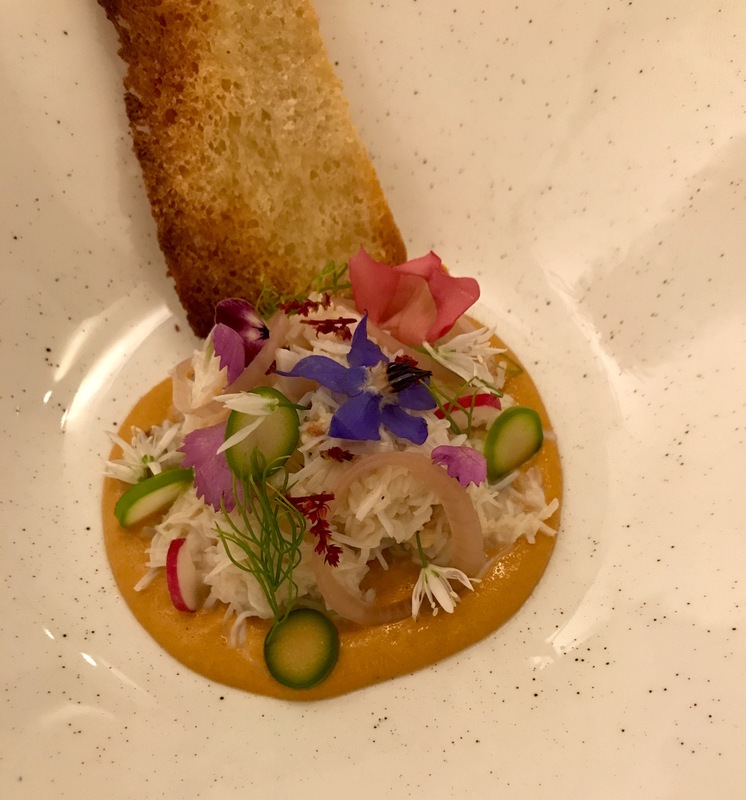 My Dorset crab was the prettiest plate I’ve seen for a while and came with thinly sliced Wye Valley asparagus. 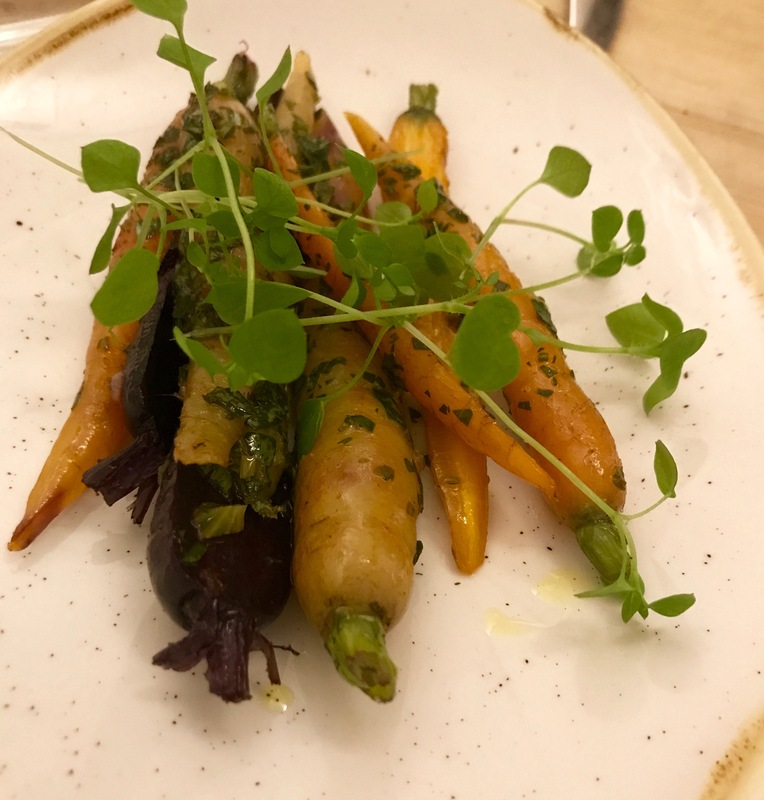 It’s asparagus season in England – so any excuse to eat as much of it as I can! 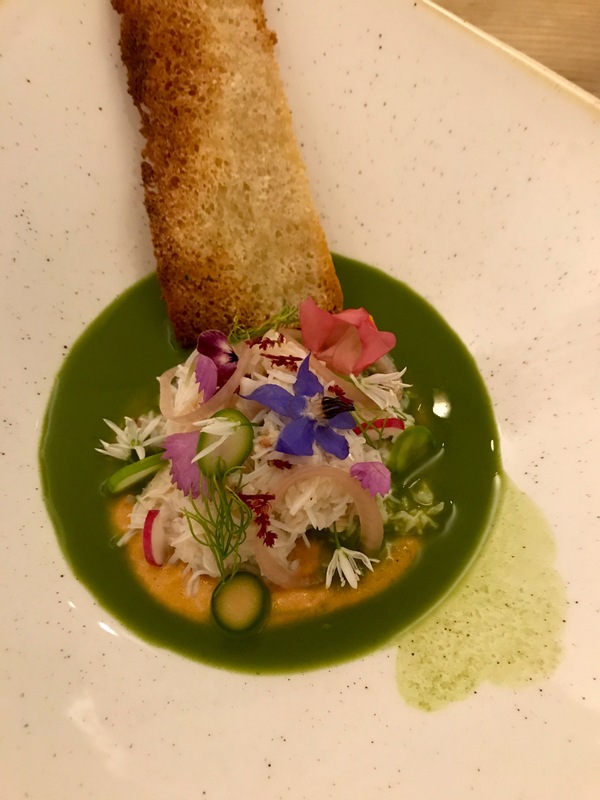 The bitter herb veloute was poured over my dish at the table adding vibrancy and zest. 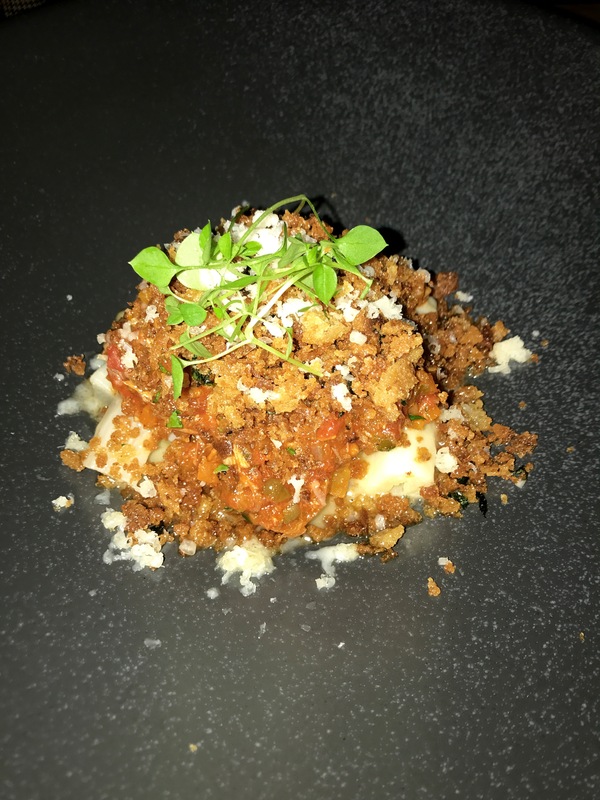 The wild boar ragu was served with buttered satisfy, native curds and pickled walnuts. How’s that for an intriguing-sounding combination. Wild boar simply makes the best ragu – it was rich, packed with meatiness and oh-so-satisfying. You eat the root of the salsify plant which is sort of like a parsnip but different! It has a creamy sort of texture and a good bite to it. Today we went for the special which was mutton served with sweetbread, garlic and jus. And an order of carrots and mushrooms on the side. It’s very rare to see mutton on menus – or even in shops – these days. I remember eating it all the time as a child on the farm. So I was very keen to have another mutton taster. It didn’t taste anything like I remembered – and I don’t think that’s anything to do with my memory! Certainly the chefs at Native have more skills in the cheffing department than our family cook (though he was very good). 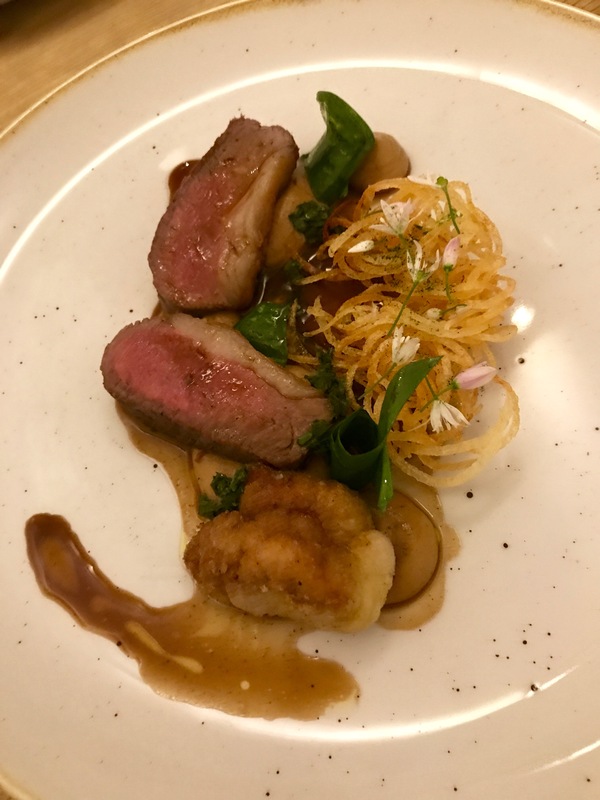 This tender, flavoursome mutton was served medium – medium/rare and I savoured every mouthful. Do love an occasional sweetbread, too. A plate of multi-coloured roast carrots made for the perfect companion for the mutton. I love that carrots come in so many hues these days. They certainly brighten up any meal. 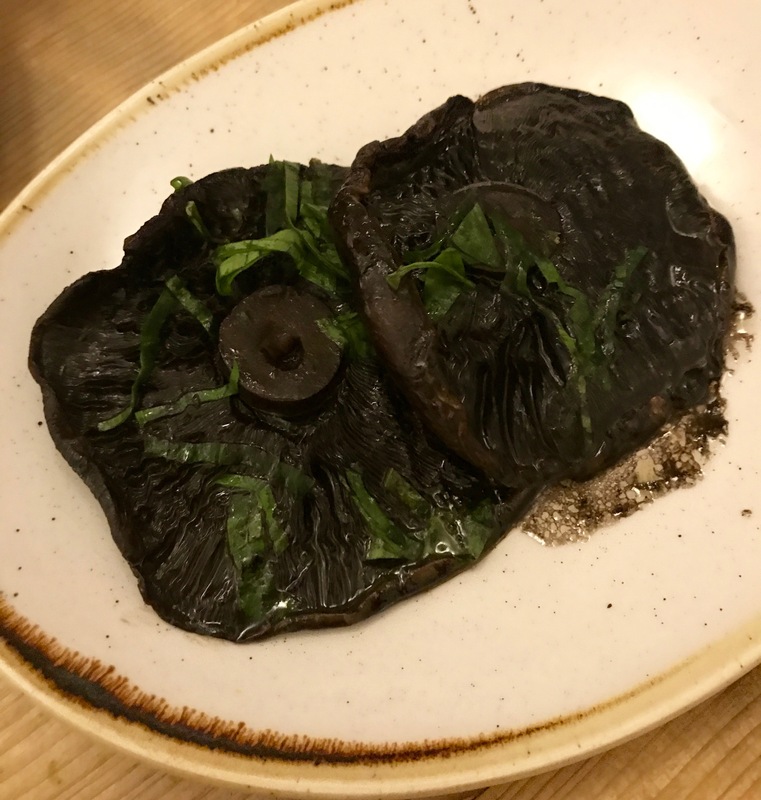 And then there were the deeply earthy English Portobello mushrooms that were roasted with garlic. Portobellos done properly are almost like eating a juicy steak – simply delicious. Neal’s Yard couldn’t be more removed from its history of dereliction. It’s the sort of place I could imagine living – right in the heart of much loved Covent Garden, surrounded by great eating! What more could anyone want? It’s £25 for a two-course lunch or £32 for three courses. White wine starts from £21 a bottle and red from £20. There’s a selection of English wines on offer, too.